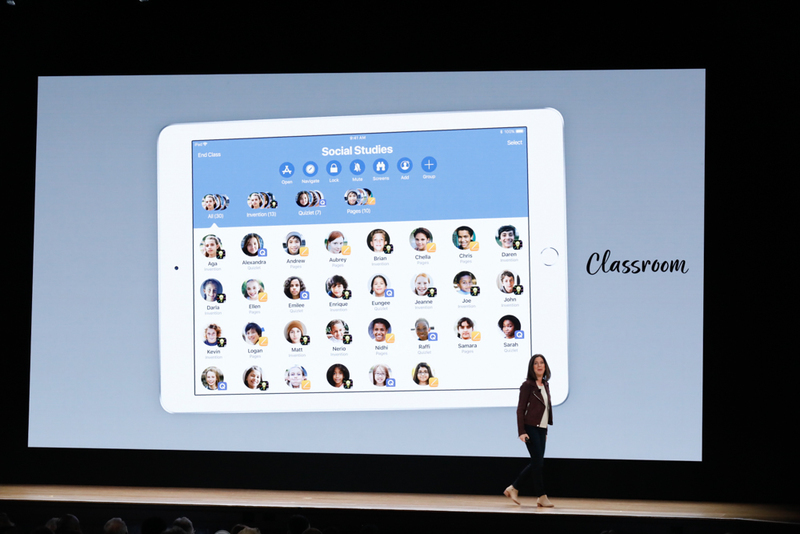 Apple School Manager is a new one-stop shop to download apps, set up Apple IDs for students etc. 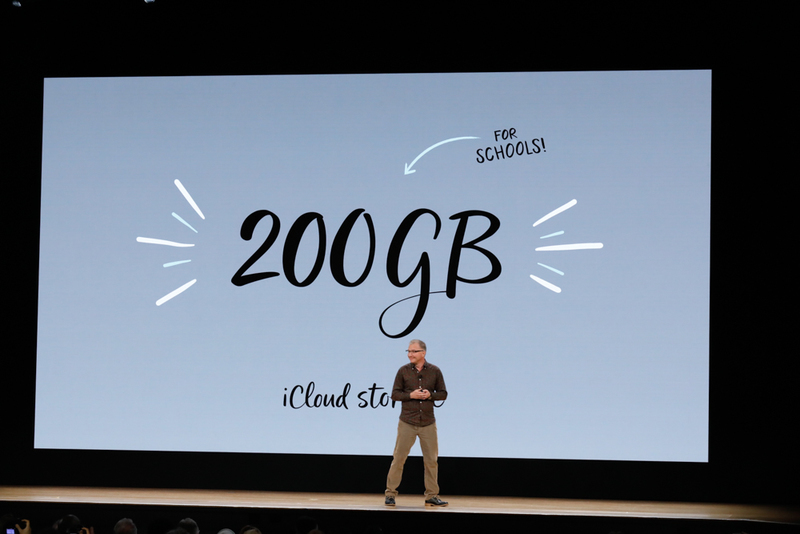 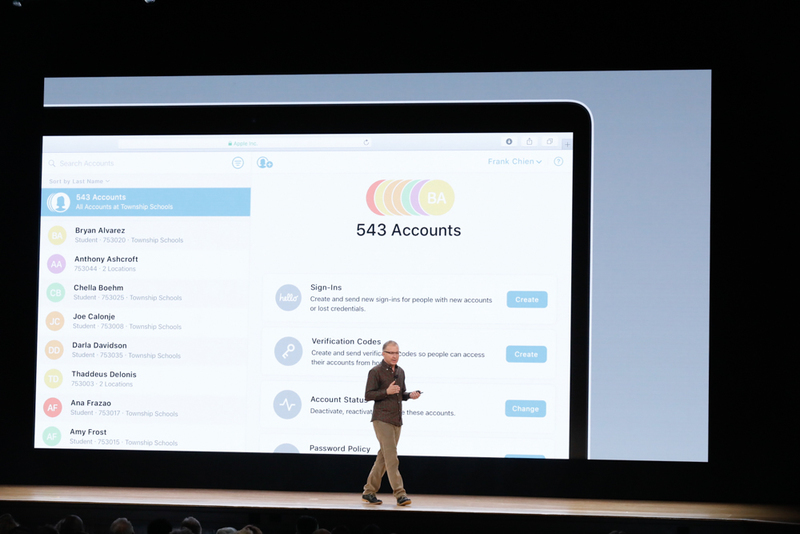 "With Apple School Manager, Apple IDs can be created individually or by bulk. 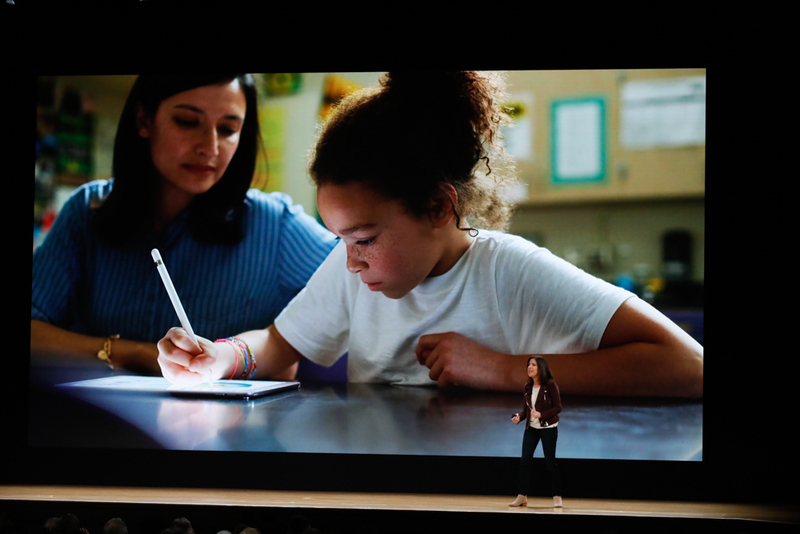 Can create IDs for school of 1,500 in less than 1 minute"
"It offers so many advantage over any other device or platform...[Apple's combo of hardware, software and services] make this iPad the very best product ever created for students and teachers"
"Now I'd like to invite Susan Prescott to the stage to take about all the things we're doing for these great teachers"
"Teachers are the heart of the classroom"
"We want to help teachers use our product to create engaging and personal learning experiences for all kinds of learners"
"Today we're going to share with you some tools we've created to help. 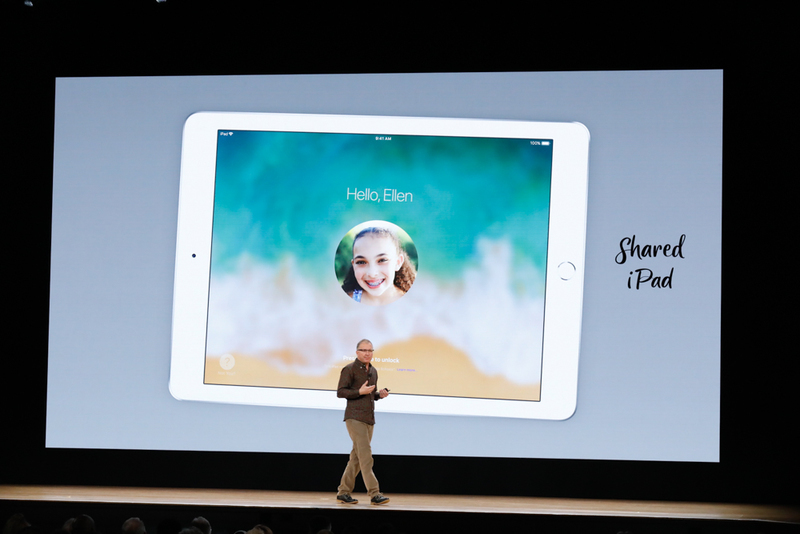 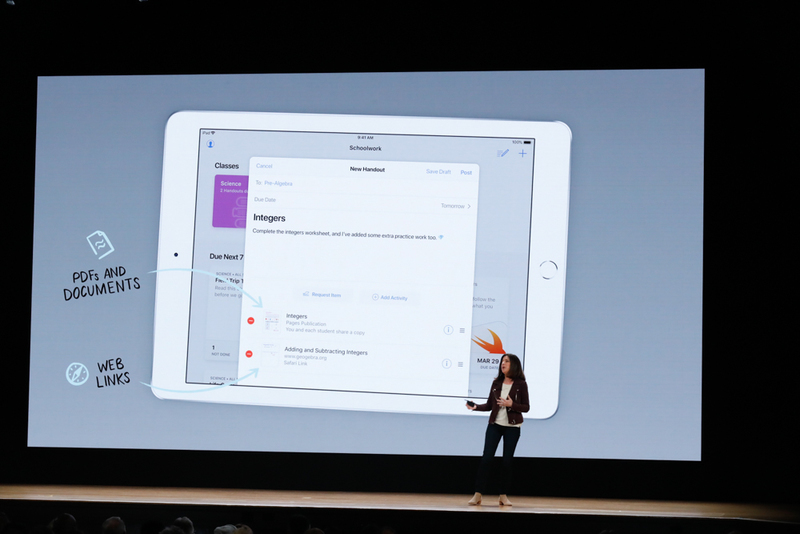 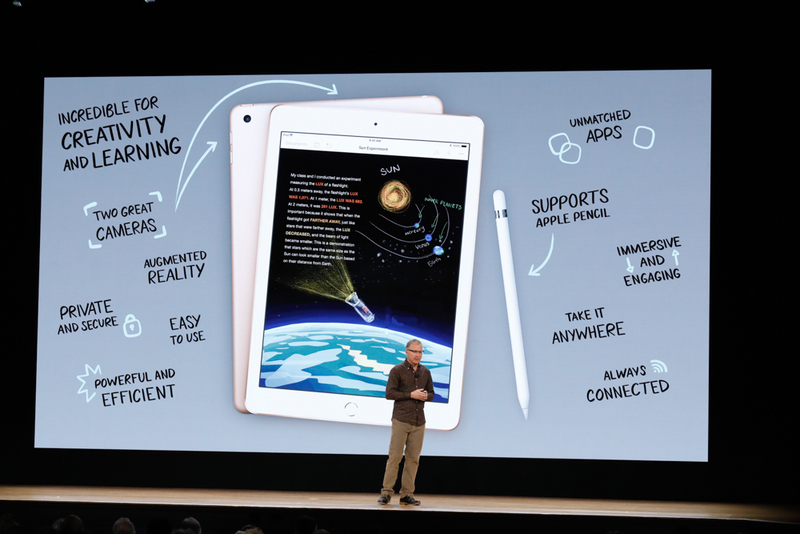 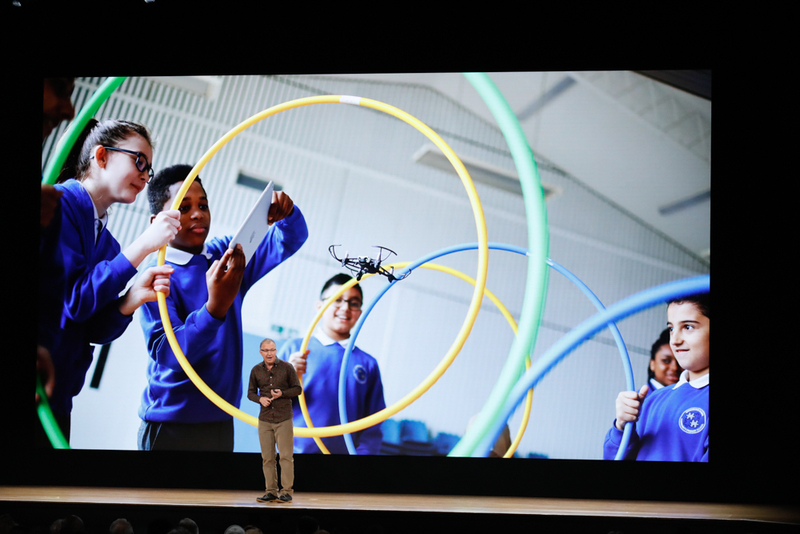 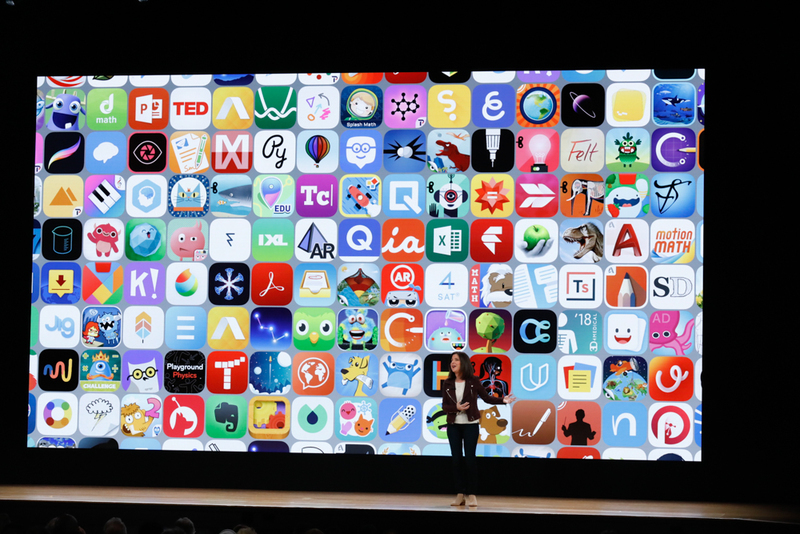 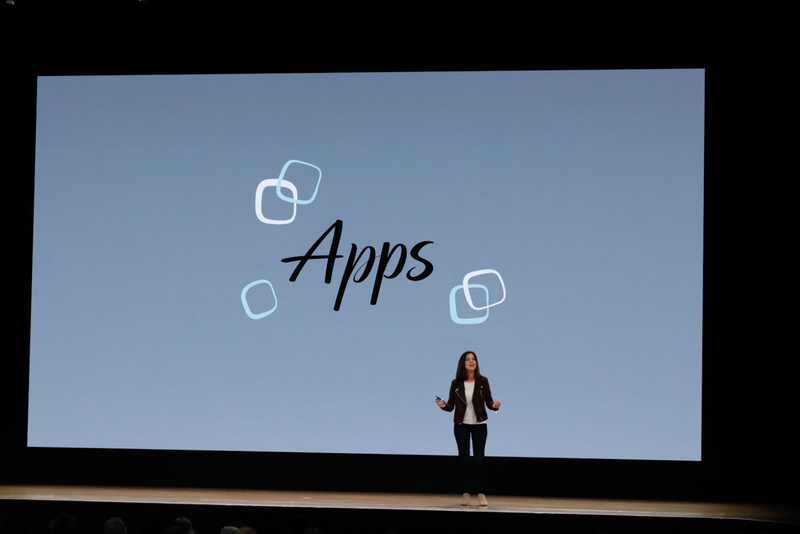 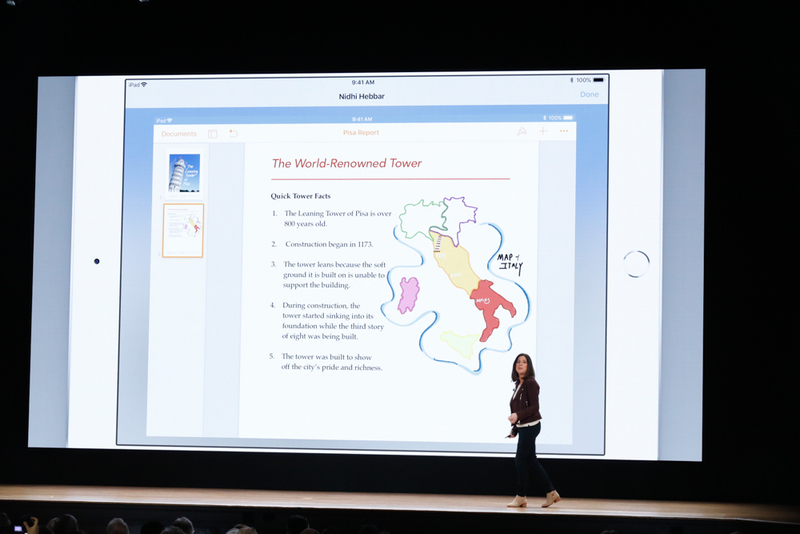 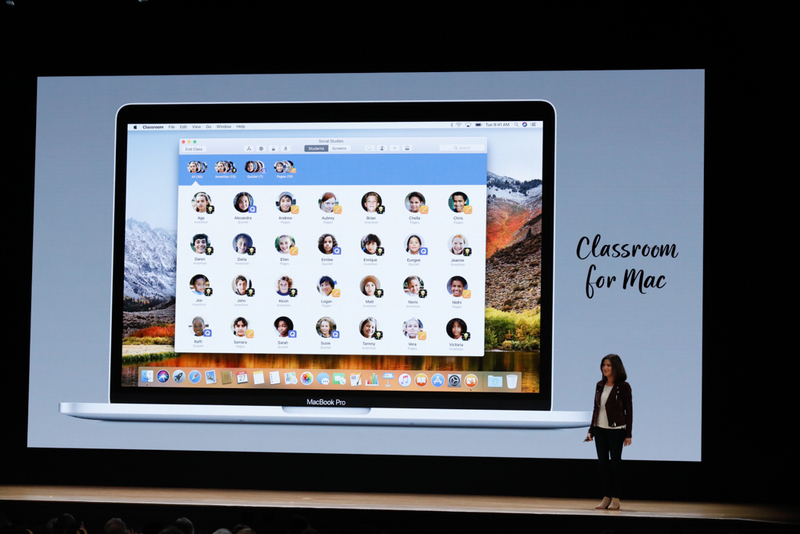 It starts with the Classroom app"
"We know lots of teachers love using their Mac. 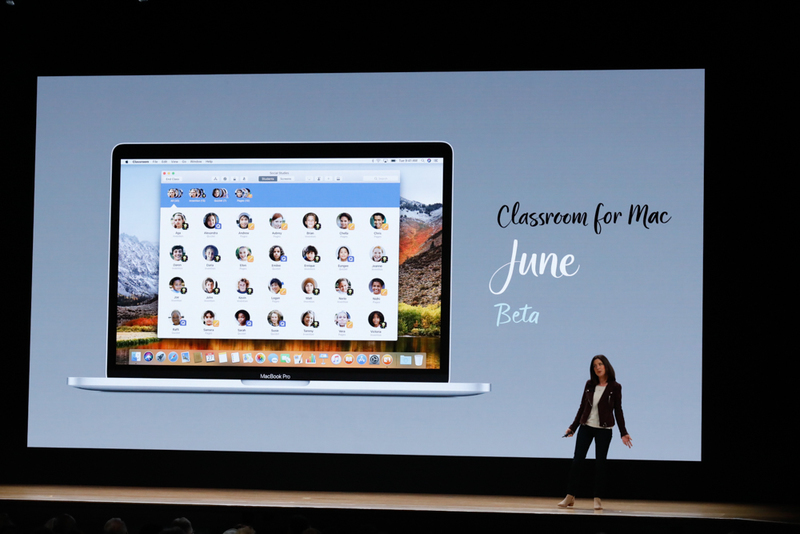 Today I'm happy to announce, we're bringing Classroom to the Mac"
"It has all the same great features as the iPad app"
"We want to help you do more to communicate and connect with students and give them the personal attention they deserve. 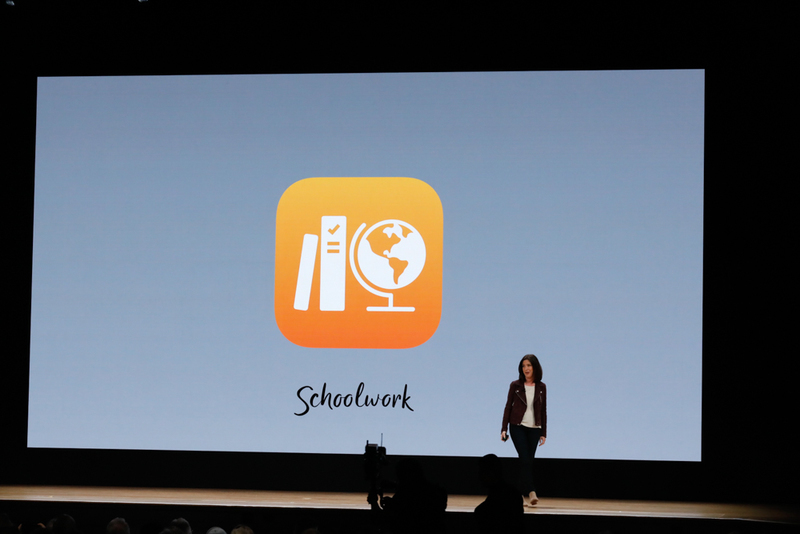 A brand new app called Schoolwork"
"It's easy to create handouts for our class with PDFs, web links or documents. 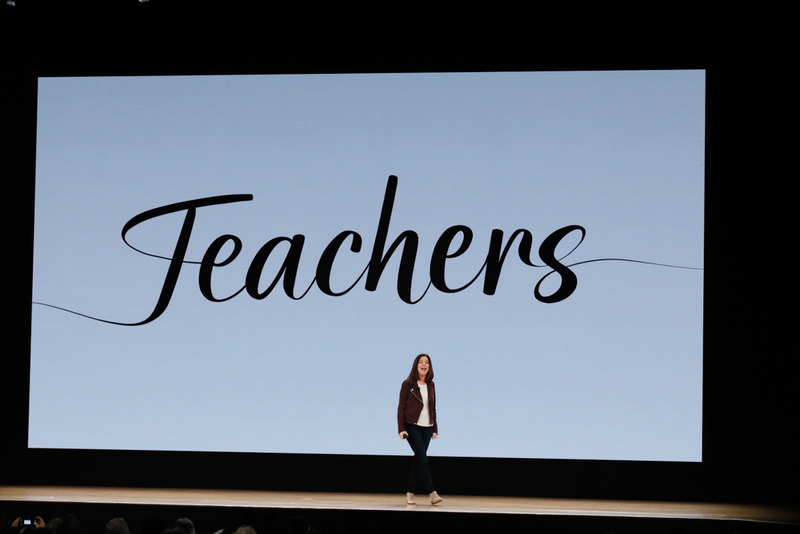 You might want to send your class a simple field trip reminder"
"It's literally as easy as sending an email." 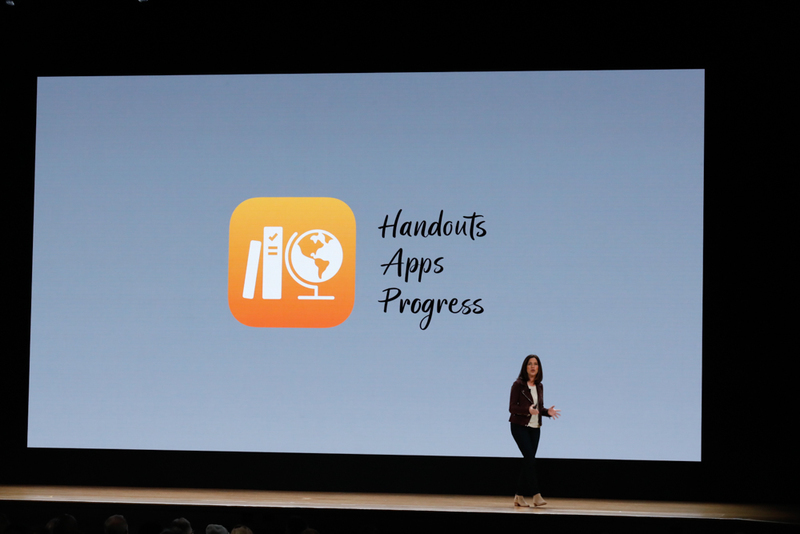 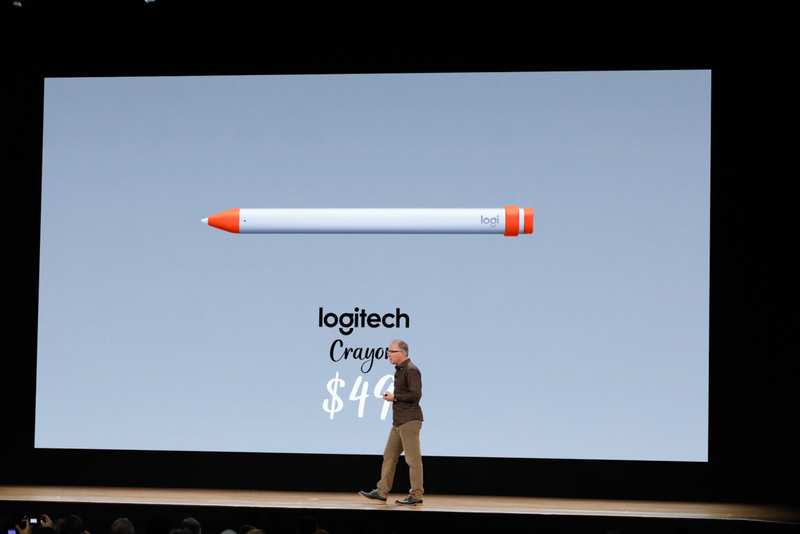 "Today in Schoolwork, we're introducing a groundbreaking new way to bring apps into your classroom"